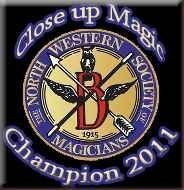 Joel, the 2011 & 2012 North Western Society of Magicians Close-Up Magic Champion will twist reality right in front of your spectators eyes. This is up close and personal. If it was televised you would swear it was camera trickery! Ideal for weddings, corporate events, private parties and restaurants. For the best walkabout magic you can book Joel with confidence! Joel's performances have been developed to leave your audience with a powerful memory. Joel is one of the few full time magicians and he has performed throughout the UK and all over the world including Manchester, London and Spain, Egypt, France, America and many other countries. This is 45 minutes of astonishment. It's engaging, packed with audience participation, comedy, magic and danger. Shows are tailored for age groups : Children's shows, family shows and adult shows are available. It is self contained and works in all room sizes. Suitable for all age groups. I hire entertainers from all over the world and Joel is one of the best"
Peter Frost-Pennington, Director, Muncaster Castle.